Note: This was originally published in 2015; I’ve updated it with a minor change required for Mojave, and clarified a bit of the text. This is just one example; lots of other apps (Mail and Messages, to name two) contain panes that become grossly distorted by background color bleed-through. I’m not sure who at Apple (Marketing?) thinks this feature is good for productivity , but I find it completely distracting. However, when writing for Many Tricks or Macworld, I often need to take screenshots. And because most users won’t disable translucency, I prefer to take those screenshots with translucency enabled, so that they’re closer to what most users might see. That means a trip through System Preferences to toggle the checkbox, which gets annoying after the second or third time you’ve done it. There had to be an easier way—and after some missteps, I eventually found it. For those who aren’t familiar, Console (found in Applications > Utilities) is an application that shows you what’s happening beneath the lovely skin of OS X. Open the application, and you’ll see a combination of status and error messages from any number of sources. If you’ve never looked at Console before, you might be surprised by just how much stuff gets written there. But with the release of Yosemite, things have really taken a turn for the worse—the amount of stuff written to Console is greater than I recall for prior OS X releases. As you can see, there are a lot of Console entries in just two minutes. High Sierra update: This trick no longer works in High Sierra. As far as I know, there is no workaround. Here’s how to achieve that effect. Paste or type killall Dock and press Return. 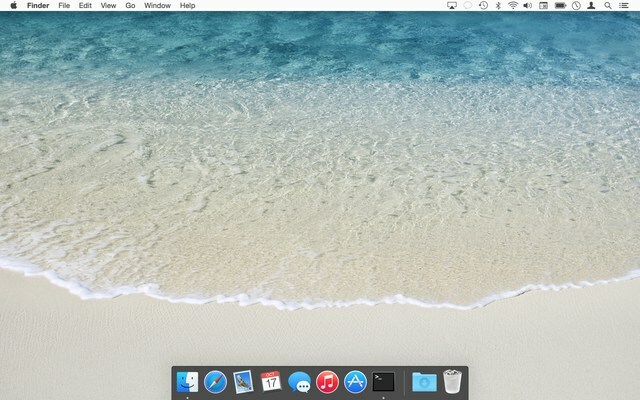 The Dock will relaunch in its dark mode. The first step sets dark mode, step two restarts the Dock to switch it to dark mode, and step three turns off dark mode—but the Dock won’t notice, and will remain in its dark state (until it’s next restarted, which isn’t often). Because the Command-Tab switcher is associated with the Dock, it will also be dark. If you’re going to script this, you’ll want to insert a delay between the second and third steps, so that the Dock can finish launching before you disable dark mode. Neat trick! Note: The scripts in this hint don’t truly mute the mic input; they drop its volume to zero. That’s because there’s no way to mute an input source via AppleScript (while you can mute an output source). At zero level, the mic will still pick up sounds, but they’re very quiet. 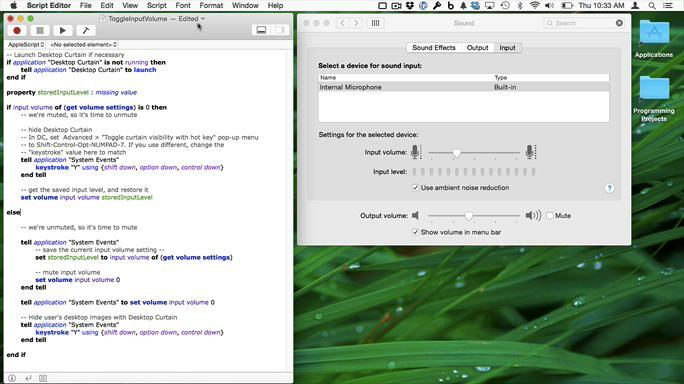 I’m looking for a solution to mute the mic via another method, then call that from the AppleScript. For now, though, be aware that these are mostly-mute scripts. Save those separately, assign keyboard shortcuts (or more quietly, trackpad gestures) using your favorite third-party tool, and you’re done. Read on for the code and a how-to on putting it to use. I was cleaning out some old images from the site, and found over 150 apparently unused images. Whoops, that’s what nine years of bad housekeeping will get you. One of the leftovers, though, was kind of interesting. At some point in time, I graphed the number of hints published each day on macosxhints.com, from launch through 2008—a total of 12,051 hints. Even if unlabeled, it’d be pretty easy to figure out where the major OS X releases occurred (except for 10.1, not sure what’s up with that?). And you can see a general downward trend in hints per day, as the OS became more established (and more locked down) over time. In any event, I thought it was an interesting chart, and figured I’d toss it into a quick post instead of just sending it to the dustbin. To make it easy to use on all my Macs, I stored the finished result in Dropbox. 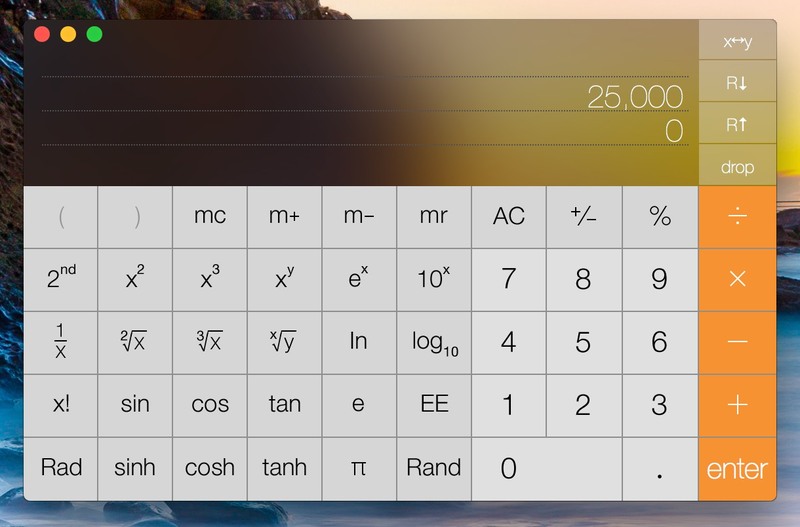 I tested it using my MacBook Pro, assigning it a global keyboard shortcut using Butler. It worked great; as soon as I typed the shortcut, I’d see my “Which program?” onscreen dialog, and all was good. Confused, I pulled out the MacBook Pro, and tested again…and again, it worked fine, launching without any confirmation dialog. After many minutes of hair pulling, I figured out the problem: On the MacBook Pro, I had assigned the shortcut as Shift-Option-M; on the iMac, I decided that it’d be easier to type Shift-Control-M, so that’s what I used (intending to change the MacBook Pro to the same shortcut). As soon as I removed the Control key from the shortcut, my application loaded without the confirmation dialog. I’ve been unable to figure out why this happens, but if you’re launching AppleScript apps via global shortcuts, avoid using the Control key in those shortcuts (unless you like needless confirmation dialogs, that is). In general, I don’t use Safari—mainly because I’m addicted to the add-ons I get with Chrome and Firefox. (Yes, I know Safari has extensions…but they’re underpowered and feature limited compared to what you can get in the other browsers.) However, during Masters week, Safari has a key role in my following the tournament, thanks to one key feature: web clip, i.e. Open in Dashboard. While The Masters has an excellent iPad app, I don’t like having the iPad locked into one app for hours at a time. So, to follow the leaderboard, I turn to Safari’s Open in Dashboard feature, along with a favorite old Mac OS X Hints hint that allows me to drag widgets out of the Dashboard. 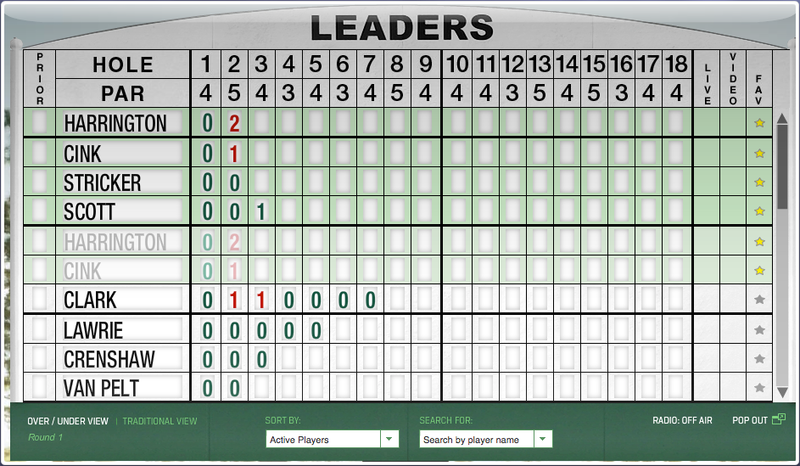 Using these two things together, I can view the full Masters leaderboard, floating in a window all its own. Best of all, the interactivity of the leaderboard is preserved, so I can re-sort the list, expand a player’s scores, and do all the other things I can do on the actual leaderboard page. Note that you’ll need some spare monitor space for this trick: the dragged Widget floats over every other window, so it will get in the way if you’re using, for instance, an 11″ MacBook Air.